The number of syrian refugees coming to Beirut increases constantly. Fleeing from the civil war, they are searching for shelter. The question, how to create shelter is ubiquitous. All over the place, particulary in the Gemmayzeh district exist abandoned buildings that are going to demolish. Is it possible to keep the cultural heritage of Beirut on the one hand and on the other hand to develop shelter for the syrian refugees? We think it is! Our idea is to offer a stragedy, like an instruction, how refugees can renovate abondoned buildings. The proposal is more to create a place a process is starting than to show how to deal with the existing structures. 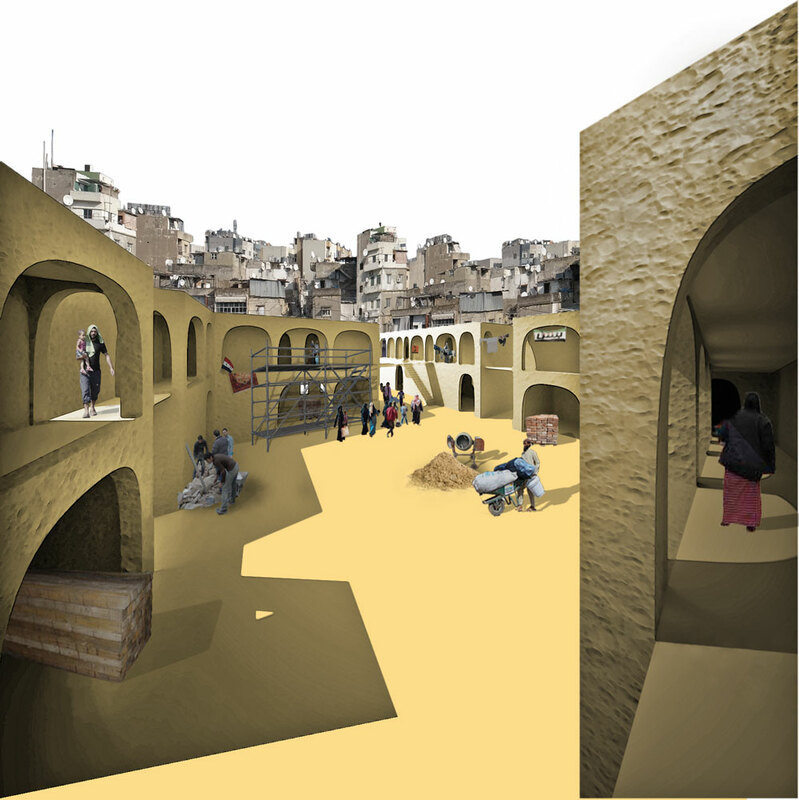 The caravansery for syrian refugees is thought as a catalyzer for a development, that tries to create new habitat in old buildings. The idea is to create a place from where the development of rebuilding abandoned building can start. 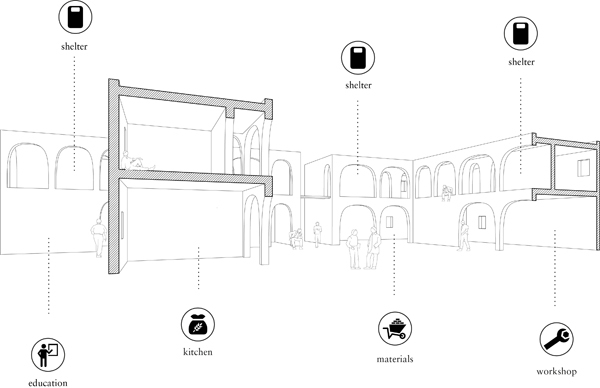 The caravansary is a place where materials get collected, workshops are supplied and refugees can live. From time to time more and more buildings are becoming renovated, so there is an increasing number of supplied shelter. This map shows the development within the Gemmayzeh district. 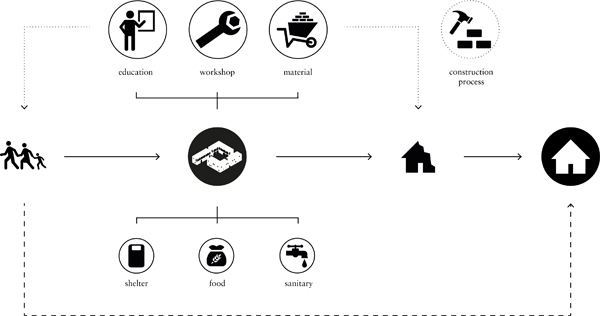 This shows the daily activity of the refugees living in the caravansary. I would like to add something to this, if it doesn`t exist already. It would be complementary manual “Ikea” type (ie so simple that a baby could make that) of specifically how to build, and this could be use actually everywhere and not only in Syria.